Tambu, an adolescent living in colonial Rhodesia of the '60s, seizes the opportunity to leave her rural community to study at the missionary school run by her wealthy, British-educated uncle. With an uncanny and often critical self-awareness, Tambu narrates this skillful first novel by a Zimbabwe native. 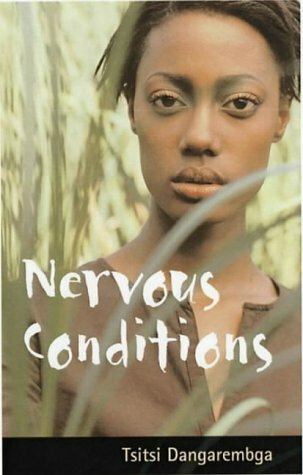 Like many heroes of the bildungsroman, Tambu, in addition to excelling at her curriculum, slowly reaches some painful conclusions--about her family, her proscribed role as a woman, and the inherent evils of colonization. Tambu often thinks of her mother, "who suffered from being female and poor and uneducated and black so stoically." Yet, she and her cousin, Nyasha, move increasingly farther away from their cultural heritage. At a funeral in her native village, Tambu admires the mourning of the women, "shrill, sharp, shiny, needles of sound piercing cleanly and deeply to let the anguish in, not out." In many ways, this novel becomes Tambu's keening--a resonant, eloquent tribute to the women in her life, and to their losses. Tsitsi Dangarembga lived and studied in both England and Germany before returning to her native Zimbabwe. She is not only a novelist and playwright, but also a noted film director. She currently is working on the third novel in the trilogy that began with Nervous Conditions and continues in The Book of Not.